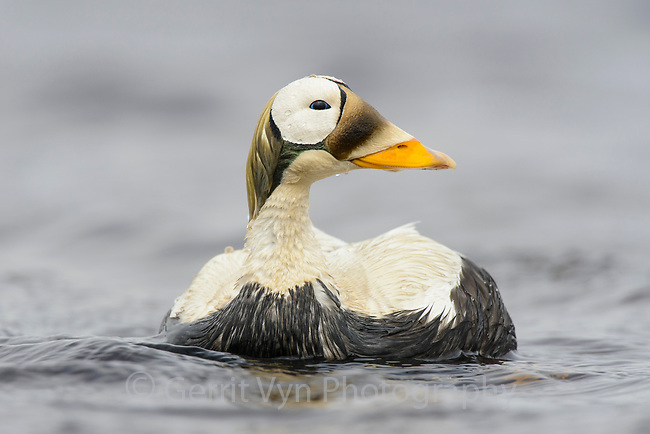 Male Spectacled Eider (Somateria spectabilis) swimming while feeding in a tundra pond. Yukon Delta National Wildlife Refuge, Alaska. June.